“My name is Denise Fitzsimmons. By day, I am a high school Spanish teacher in Danbury, Connecticut. 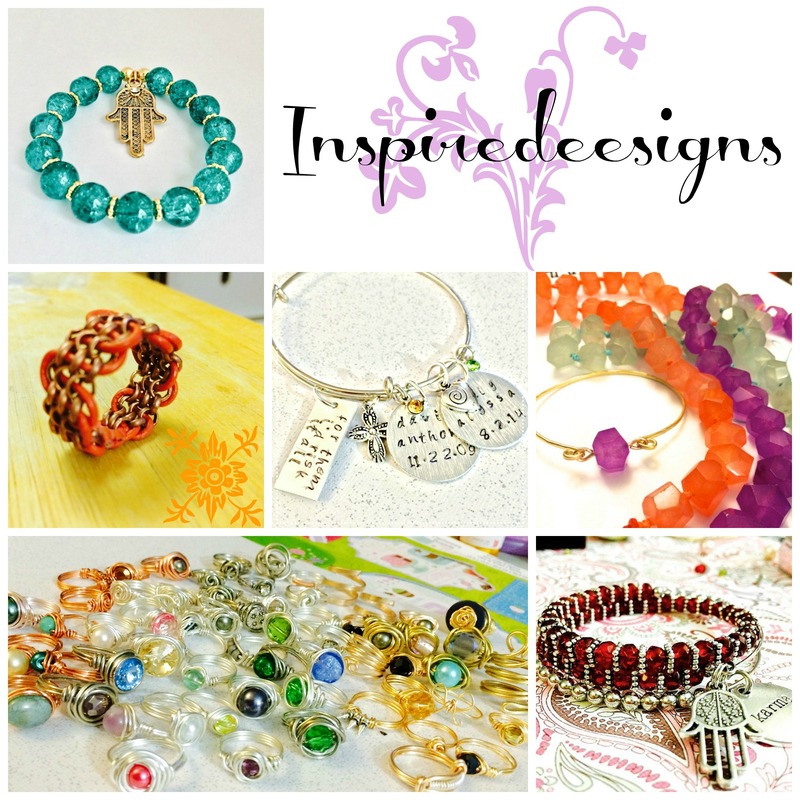 By afternoon and night, I am the owner and designer of Inspiredeesigns.I started creating jewelry on a whim one day after looking at a piece of jewelry, falling in love with it, and THEN looking at the price tag! I decided at that moment that I could create that same necklace at a fraction of the designer cost! 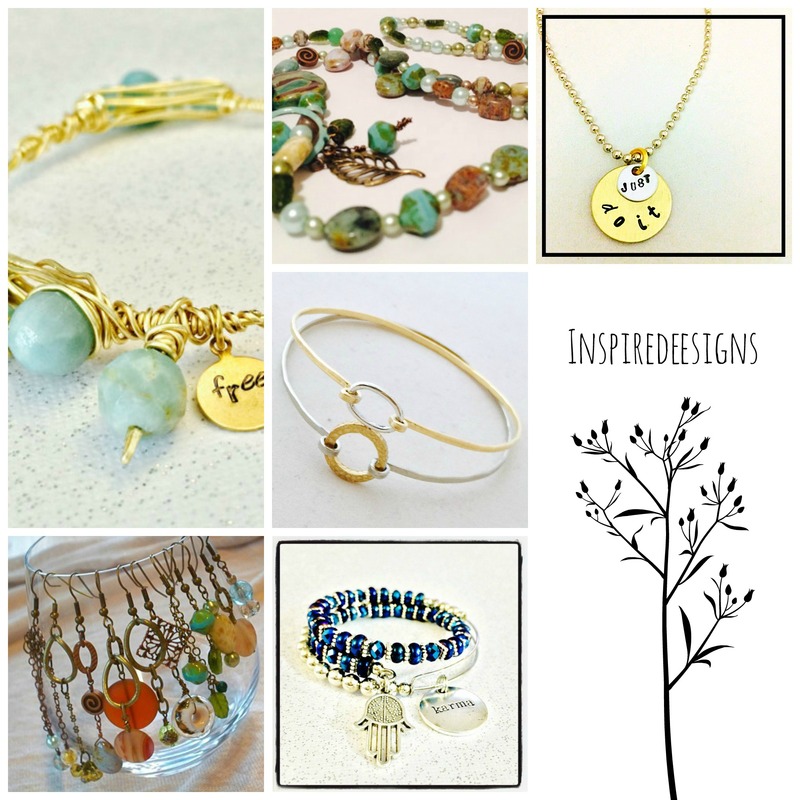 So, I set out to learn all I could about wire, beads, metals, and design. I started with simple beading on string and struggled through crimp beads, crimp covers, wire guardians, and the like. 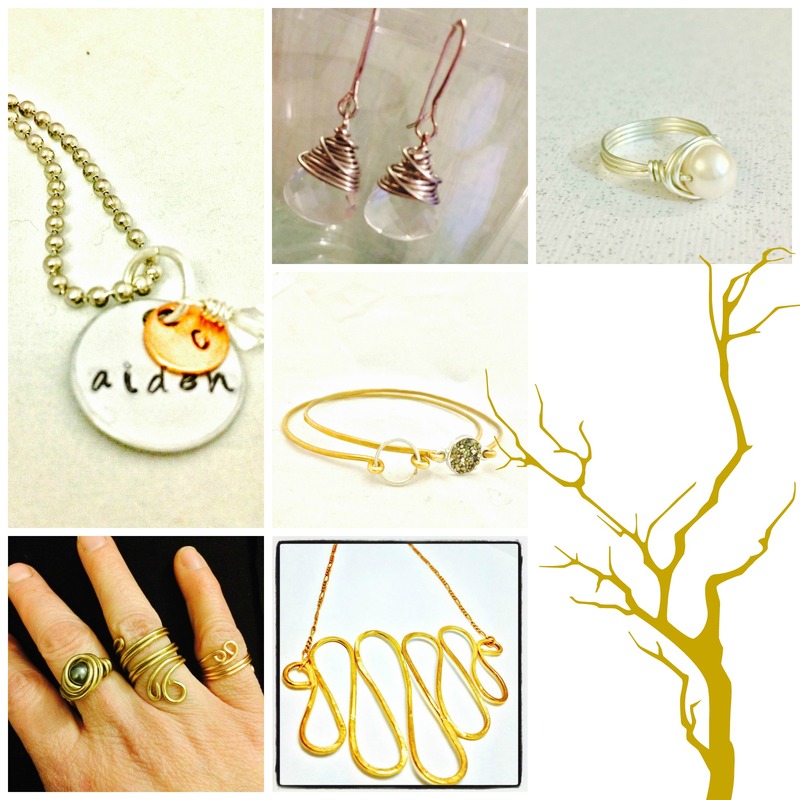 I then moved onto wire wrapping, wire working, hammering, and finally stamping. I have never taken a class, although I teach jewelry classes, and I learned everything I know by watching You Tube videos and asking lots and lots of questions (most of them to Ralph, sorry! ).